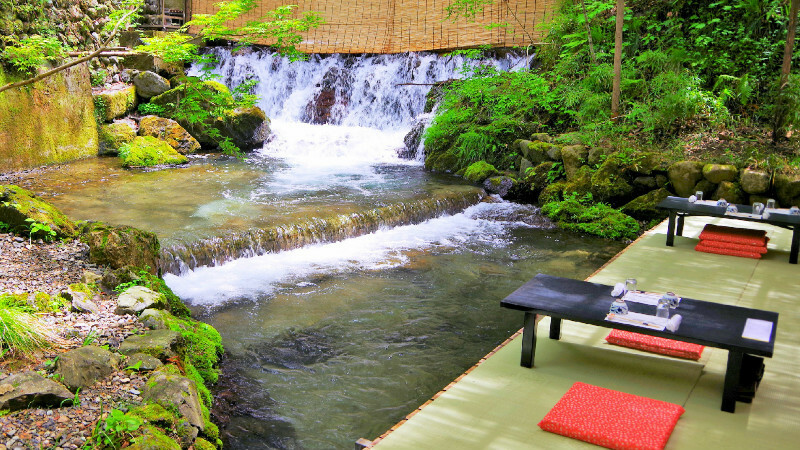 Summer in Kyoto means kawayuka – riverside dining. 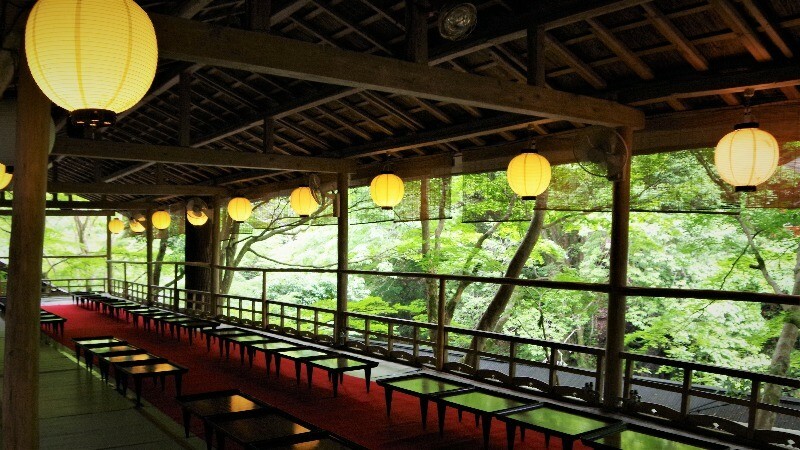 Kawayuka is also called “nature’s air conditioner.” In summer Kyoto gets humid and very hot; so many people escape this weather to the kawayuka dining platforms. When you talk of kawayuka in Kyoto, the one by the Kamo River, often shortened yuka, is probably the most famous. There are different styles of kawayuka in Kyoto, and they’re enjoyed in different ways. 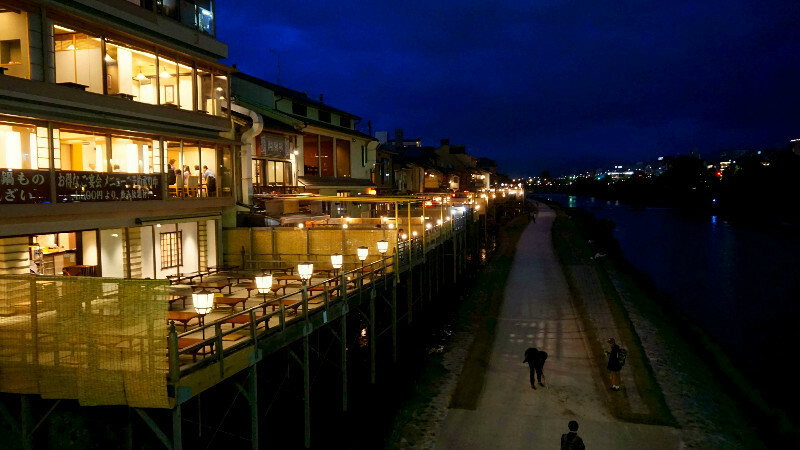 One of the most exciting things about the kawayuka by the Kamo River is the way you can enjoy different types of food, from Japanese washoku to such international cuisines as French and Italian. 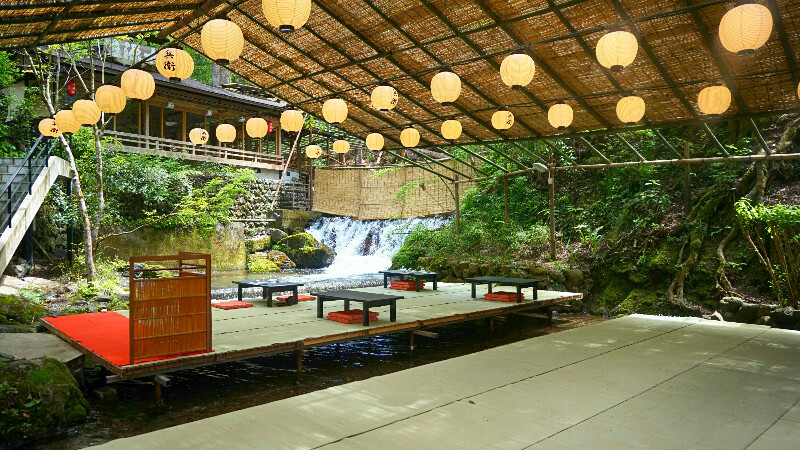 In Kibune you get to enjoy your food on top of a river, and in Takao, you get to enjoy the cool air and be surrounded by nature. So, this time we are going to introduce to you three different areas and three different types of kawayuka, by the Kamo River, in Kibune, and in Takao.